During summer 2018, 76 rough concepts were developed for the SF-1 Battledart. 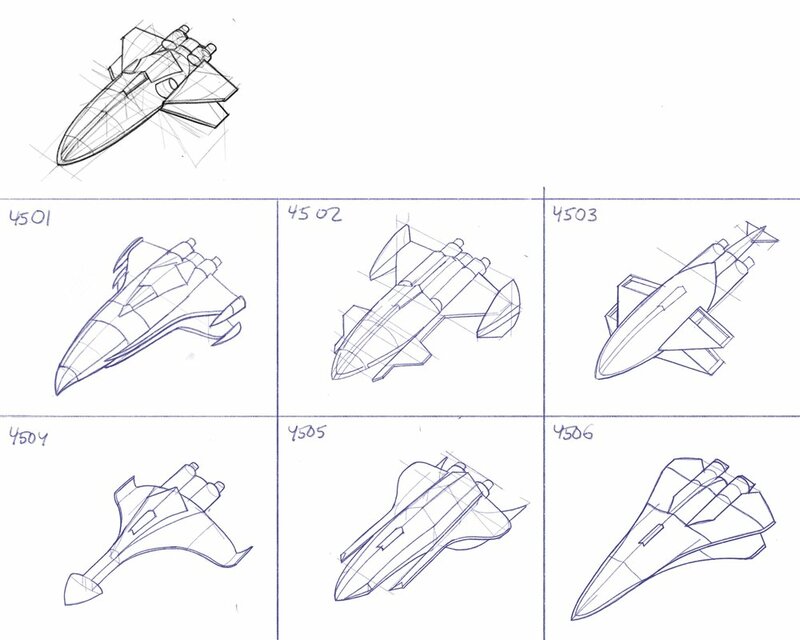 These concepts explore basic geometry, form language, and layout of a far-future space superiority fighter. Of the 76 rough concepts, 6 of them (plus the 3D model reference configuration) were selected to further explore basic form development. These 7 concepts were used to generate an additional 40 concepts, which will then be down-selected to 3 concepts for further refinement. Final concept design will be selected during the Fall 2018 semester.